MPs must not let terror acts intimidate them into disrupting democratic practices and have to come to terms with the fact that by choosing to serve the people they put their life at risk, Adrian Bailey, Labour/Co-op MP for West Bromwich, told RT. Bailey was inside the Houses of Parliament when the crisis situation began to unfold and he saw Prime Minister Theresa May being rushed to safety by security guards. 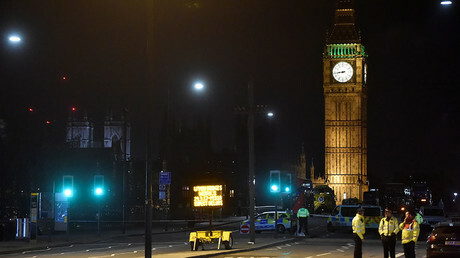 For several hours afterward, Bailey had to stay in the chamber with other parliamentarians as it was put on lockdown with police attending to the scene. Despite the security concerns that have been triggered by the incident, Bailey does not see any other response for parliamentarians than to proceed with their duties. “We, as parliamentarians don’t want to live in a fortress, we want to engage with the public, we do not want to not be available and accountable to them and we do not let this event to stop us from emitting and engaging with the public in Westminster,” Bailey told RT’s Elsa Ali outside the parliament building. Being voted in to represent a portion of British public in Parliament carries both responsibility and a risk to one’s own safety, which MPs should expect, Bailey argues. With their safety being compromised due to the public character of their jobs, people’s representatives should not “allow any violent extremist who wants to undermine our democratic system to prevail over our desires to work with the public,” Bailey said. Kamal Alam, a Syrian military analyst whose office is close to where the attack took place, told RT that when he left the House of Lords after a meeting and saw panicked children running in disarray, his first thought was that of a school drill. 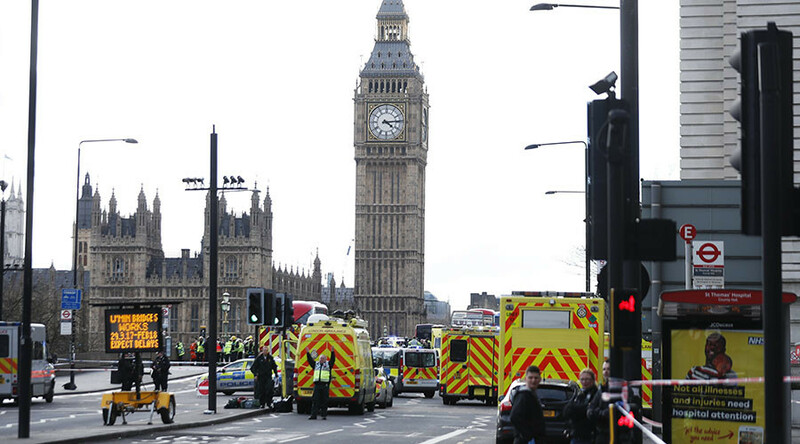 “I thought it’s just some kind of school drill, but within a few seconds heard what sounded like gunshots and a lot of screaming, and all of a sudden there are dozens of armed policemen telling everyone to run away from Parliament Square and Westminster Tube Station,” Alam said. “British police never panic, so when you see the British police you know something’s wrong because they’re not famous for that,” Alam said. 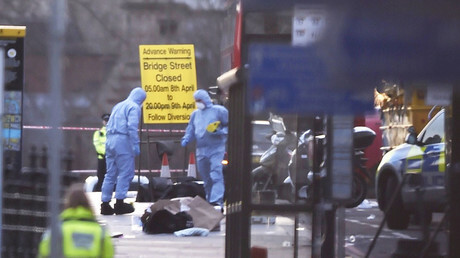 While no terrorist entity has yet claimed responsibility for a car and a knife assault that left five people, including the suspected attacker, killed and over 40 injured, the London Metropolitan police named “Islamic terrorism” as their primary assumption. Alam believes that with the current course of the British government in Syria, the probability of Islamic State-styled attacks in the UK will only grow. “The policy on the Middle East has been in disarray for a while. There’s not much intelligence sharing happening especially with the Syrian government,” he said. — RT UK (@RTUKnews) 23 марта 2017 г. In order to avoid the heightened security risks the government needs to reassess its support to various rebel groups from the angle of “how that’s caused a threat to the United Kingdom,” Alam said.